Deepika Padukone is undoubtedly one of the most talented and stunning actresses in Bollywood. However, it has not deterred her from spending quality time with her family on every occasion that she gets. Time and again, the Padmaavat star has claimed that her parents have been a pillars of strength. During a recent interaction with Firstpost, Deepika spoke at length about her mom Ujjala Padukone, stating, "I have learnt a lot from her. I don't think there is a single thing I can do without her voice in my head. Simple things like when I buy something, I remember that she has always told me, 'find out how much it is for'." Hearing this, Ujjala opened up on the reason behind it and said, "My dad with his British boarding school background was a very disciplined person, so I grew up with strict rules that I didn't know I was unconsciously borrowing from! I have been like a strict headmistress. I am sure there have been times when they (her husband and daughters) have wanted to throw me out of the house." 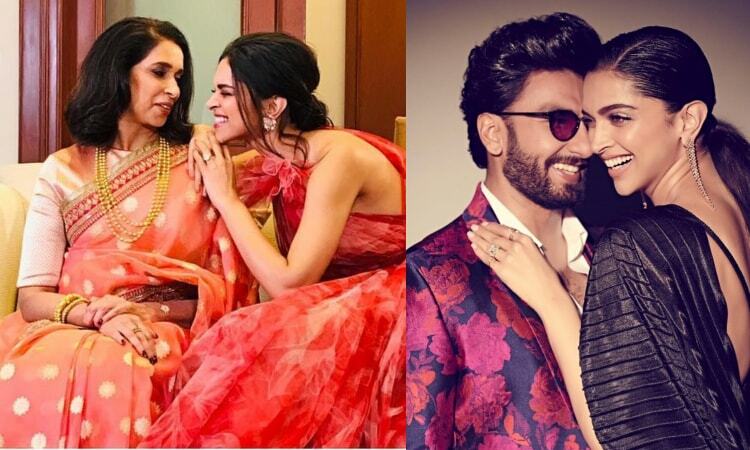 Interestingly, Deepika admitted that her mother's habits have helped keep her hubby Ranveer Singh in check as well. "We were all her priority. She allowed us to pursue our passion and, at the same time, disciplined all of us. Today if Ranveer (Singh) says 'my wife expects us to be home at a certain time, go to bed at a certain time' all those things come from her," she added. Meanwhile, on the work front, Deepika will be next seen in Meghna Gulzar's Chhapaak. Decoding Deepika Padukone's Formal-Chic Style... Deepika Padukone SHINES OUT as she has 2 BIG Achievements in a week!